An independent and honorable judiciary is indispensable to justice. Magisterial district judges should participate in establishing, maintaining and enforcing, and shall themselves observe, high standards of conduct so that the integrity and independence of the judiciary may be preserved. The provisions for these rules governing standards of conduct of magisterial district judges shall be construed and applied to further that objective. This rule is derived from Canon 1, American Bar Association Code of Judicial Conduct. This and the following rules governing standards of conduct of magisterial district judges provide a complete and exclusive code of conduct for magisterial district judges in Pennsylvania. Those canons of the Code of Judicial Conduct of the American Bar Association thought applicable to magisterial district judges have been paraphrased in these rules, and some of the former standards of conduct rules, which were thought to be more pertinent to magisterial district judges in Pennsylvania than counterpart canons of the American Bar Association Code of Judicial Conduct, have been retained. In determining the standards that apply to them, the magisterial district judges need now consult only these rules and will not be required to consult other sources as was the case heretofore. When canons of the American Bar Association Code of Judicial Conduct have been paraphrased in these rules, pertinent official commentaries to those canons and those parts of the canons thought to be merely expository are set forth in the notes rather than in the rules. A. Magisterial district judges shall respect and comply with the law and shall conduct themselves at all times in a manner that promotes public confidence in the integrity and impartiality of the judiciary. Magisterial district judges shall not allow their family, social or other relationships to influence their judicial conduct or judgment. They shall not lend the prestige of their office to advance the private interest of others, nor shall they convey or permit others to convey the impression that they are in a special position to influence the judge. B. Magisterial district judges shall not testify voluntarily as character witnesses. This rule is derived from Canon 2, American Bar Association Code of Judicial Conduct, and Pa.R.J.A. No. 1701. Public confidence in the judiciary is eroded by irresponsible or improper conduct by members of the judiciary. Magisterial district judges must avoid all impropriety and appearance of impropriety. They must expect to be the subject of constant public scrutiny. They must therefore accept restrictions on their conduct that might be viewed as burdensome by the ordinary citizen and should do so freely and willingly. The testimony of magisterial district judges as character witnesses injects the prestige of their office into the proceeding in which they testify and may be misunderstood to be an official testimonial. Rule 2B, however, does not afford them a privilege against testifying as character witnesses in response to a subpoena the issuance of which has been specifically allowed by the Supreme Court under Pa.R.J.A. No. 1701. A. Magisterial district judges shall devote the time necessary for the prompt and proper disposition of the business of their office, which shall be given priority over any other occupation, business, profession, pursuit or activity. B. Magisterial district judges shall not use or permit the use of the premises established for the disposition of their magisterial business for any other occupation, business, profession or gainful pursuit. This rule is derived from former Rule 1. A. Magisterial district judges shall be faithful to the law and maintain competence in it. They shall be unswayed by partisan interests, public clamor or fear of criticism. B. Magisterial district judges shall maintain order and decorum in the proceedings before them. They shall wear judicial robes while conducting hearings and trials. C. Magisterial district judges shall be patient, dignified and courteous to litigants, witnesses, lawyers and others with whom they deal in their official capacity, and shall require similar conduct of lawyers, of their staff and others subject to their direction and control. D. Magisterial district judges shall accord to every person who is legally interested in a proceeding, or their lawyer, full right to be heard according to law and, except as authorized by law, neither initiate nor consider ex parte or other communications concerning a pending or impending proceeding. Magisterial district judges, however, may obtain the advice of a disinterested expert on the law applicable to a proceeding before them if they give notice to the parties of the person consulted and the substance of the advice and afford the parties reasonable opportunities to respond. This rule is derived in part from Canon 3A(1)-(4) of the American Bar Association and Pennsylvania Supreme Court Code of Judicial Conduct. Magisterial district judges are to be provided with the judicial robes required by subdivision B as part of the expense of operating their offices (see Rule 101(3)). The proscription against communications in subdivision D includes communications from lawyers, law teachers and other persons who are not participants in the proceeding, except to the limited extent permitted. It does not preclude magisterial district judges from consulting with other members of the judiciary or with court personnel whose function it is to aid the judiciary in carrying out adjudicative responsibilities. A. Magisterial district judges shall diligently discharge their administrative responsibilities, maintain competence in judicial administration and facilitate the performance of the administrative responsibilities of their staff and of other members of the judiciary and court officials. B. Magisterial district judges shall require their staff to observe the standards of fidelity and diligence that apply to them. C. Magisterial district judges shall not make unnecessary appointments to their staff. They shall exercise any such power of appointment that they may have only on the basis of merit, avoiding nepotism and favoritism. This rule is derived from Canon 3B(1), (2) and (4), American Bar Association Code of Judicial Conduct. Magisterial district judges shall abstain from public comment about a proceeding pending or impending in their offices or in any court, and shall require similar abstention on the part of their staff. This rule does not prohibit magisterial district judges from making public statements in the course of their official duties or from explaining for public information the procedures of the court. This rule is derived from Canon 3A(6), the American Bar Association Code of Judicial Conduct. (2) the broadcasting, televising, recording or photographing of investitive or ceremonial proceedings. This rule is derived from Canon 3A(7)(a), (b) of the American Bar Association and Pennsylvania Supreme Court Code of Judicial Conduct. With respect to proceedings before magisterial district judges, it did not seem desirable to include the authority for reproduction for educational purposes set forth in Canon 3A(7)(c). This rule is not intended to affect or limit Pa.R.Crim.P. 112. (d) is to the knowledge of the magisterial district judge likely to be a material witness in the proceeding. B. Magisterial district judges shall inform themselves about their personal and fiduciary financial interests and make a reasonable effort to inform themselves about the personal financial interests of their spouse and minor children residing in their household. This rule is derived from Canon 3C, American Bar Association Code of Judicial Conduct. For the purpose of this rule, “fiduciary” includes such relationships as executor, administrator, trustee and guardian, and “financial interest” means ownership of a legal or equitable interest, however small, or a relationship as director, advisor or other active participant in the affairs of a party, except that: (1) ownership in mutual or common investment fund that holds securities is not a “financial interest” in such securities unless the magisterial district judge participates in the management of the fund; (2) an office in an educational, religious, charitable, fraternal or civic organization is not a “financial interest” in securities held by the organization; (3) the proprietary interest of a policy holder in a mutual insurance company, of a depositor in a mutual savings association or a similar proprietary interest is a “financial interest” in the organization only if the outcome of the proceeding could substantially affect the value of the interest; and (4) ownership of government securities is a “financial interest” in the issuer only if the outcome of the proceeding could substantially affect the value of the securities. “Degree of relationship” is calculated according to the civil law system. Thus, the third degree of relationship test would, for example, disqualify the magisterial district judge if they or their spouse’s parents, grandparents, uncles or aunts, siblings, or nieces or nephews or their spouses were a party or a lawyer in the proceeding, but would not disqualify them if a cousin were a party or lawyer in the proceeding. A lawyer in a governmental agency does not necessarily have an association with other lawyers employed by that agency within the meaning of subdivision A(2). Magisterial district judges formerly employed by a governmental agency, however, should disqualify themselves in a proceeding if their impartiality might reasonably be questioned because of such association. The fact that a lawyer in a proceeding is affiliated with a law firm with which a lawyer-relative of the magisterial district judge is affiliated does not of itself disqualify the magisterial district judge. Under appropriate circumstances, the fact that “their impartiality might reasonably be questioned” under subdivision A, or that the lawyer-relative is known by the magisterial district judge to have an interest in the law firm that could be “substantially affected by the outcome of the proceeding” under subdivision A(4)(c) may require their disqualification. A. Magisterial district judges disqualified by Rule 8A(3) or (4) may, instead of withdrawing from the proceeding, disclose the basis of their disqualification. If, based on such disclosure, the parties and lawyers, independently of the participation of the magisterial district judges all agree in writing that the relationship of the magisterial district judges is immaterial or that their financial interest is insubstantial, the magisterial district judges are no longer disqualified and may participate in the proceeding. The agreement signed by all parties and lawyers, shall be attached to the record copy of the complaint form. B. Magisterial district judge shall manage their investments and other financial interests to minimize the number of cases in which they are disqualified. As soon as they can do so without serious financial detriment, they shall divest themselves of investments and other financial interests that might require frequent disqualification. Subdivision A is derived from Canon 3D, American Bar Association Code of Judicial Conduct. The procedure in this subdivision is designed to minimize the chance that a party or lawyer will feel coerced into an agreement. When a party is not immediately available, the magisterial district judges may proceed on the written assurance of the lawyers that their parties’ consent will be subsequently filed. Subdivision B is derived from Canon 5C(3), American Bar Association Code of Judicial Conduct. Information acquired by magisterial district judges in their judicial capacity shall not be used or disclosed by them in financial dealings or for any other purpose not related to their judicial duties. This rule is derived from Canon 5C(7), American Bar Association Code of Judicial Conduct. Magisterial district judges shall not solicit funds for any educational, religious, charitable, fraternal or civic organization, or use or permit the use of the prestige of their office for that purpose, but they may be listed as an officer, director or trustee of such an organization. They shall not be a speaker or the guest of honor at such an organization’s public fund raising events, but they may attend such events. This rule is derived from Canon 5B(2), American Bar Association Code of Judicial Conduct. A. Magisterial district judges may accept a gift incident to a public testimonial to them and books supplied by publishers on a complimentary basis for public use. Magisterial district judges or a member of their family residing in their household may accept ordinary social hospitality; a gift, bequest, favor or loan from a relative; a wedding or engagement gift; a loan from a lending institution in its regular course of business on the same terms generally available to persons who are not magisterial district judges; or a scholarship or fellowship awarded on the same terms applied to other applicants. B. Magisterial district judges or a member of their family residing in their household may accept any other gift, bequest, favor or loan only if the donor is not a party or other person whose interests have come or are likely to come before the magisterial district judge. This rule is derived from Canon 5C(4), American Bar Association Code of Judicial Conduct. For the purpose of this rule, “member of their family residing in their household” means any relative of the magisterial district judges by blood or marriage, or a person treated by the magisterial district judges as a member of their family, who resides in their household. Magisterial district judges and all employees assigned to or appointed by magisterial district judges shall not engage, directly or indirectly, in any activity or act incompatible with the expeditious, proper and impartial discharge of their duties, including, but not limited to, (1) in any activity prohibited by law; (2) in the collection business; or (3) in the acceptance of any premium or fee for any judicial bond. Magisterial district judges shall not exploit their judicial position for financial gain or for any business or professional advantage. Magisterial district judges shall not receive any fee or emolument for performing the duties of an arbitrator. The next to the last sentence of this rule is derived in part from Canon 5C(1) of the American Bar Association and Pennsylvania Supreme Court Code of Judicial Conduct. Pursuant to the authority granted by Article V, Section 10 of the Pennsylvania Constitution, the Supreme Court adopted the Rules Governing Standards of Conduct of Magisterial District Judges as the exclusive means of regulating the conduct of magisterial district judges under the supervision of the Supreme Court. Disqualification from proceedings is the most appropriate means of ensuring judicial integrity and impartiality in proceedings, including, but no limited to, those arising from the Pennsylvania Race Horse Development and Gaming Act (4 Pa.C.S.A. ?1101 et seq.). No magisterial district judge shall have a financial interest, as defined by Section 1512(B) of the Pennsylvania Race Hose Development and Gaming Act (4 Pa.C.S.A. ? 1101 et seq. ), in or be employed, directly or indirectly, by any licensed racing entity or licensed gaming entity, or any holding, affiliate, intermediary or subsidiary company thereof or any such applicant, or engage in the active ownership or participate in the management of any such entities and related companies. Rule 8(A) of the Rules Governing Standards of Conduct of Magisterial District Judges continues to govern the disqualification of magisterial district judges where the interest in or relationship with a licensed racing or licensed gaming entity or related company thereto, or any such applicant therefore, of the magisterial district judge or a family member is at issue. Amended November 21, 2005., imd Effective. Amended June 1, 2006, effective immediately. A. Attorneys who are magisterial district judges shall not practice before any magisterial district judge in the Commonwealth, nor shall they act as a lawyer in a proceeding in which they have served as a magisterial district judge or in any other proceeding related thereto. Nor shall they practice criminal law in the county within which their magisterial district is located. An employer, employee, partner or office associate of such magisterial district judges shall not appear or practice before them. B. Attorneys who are magisterial district judges shall not practice before, or act as an attorney or solicitor for, any county or local municipal, governmental or quasi-governmental agency, board, authority or commission operating within the Commonwealth. Subdivision A of this rule is derived from former Rule 3A and Compliance Exception A(2), American Bar Association Code of Judicial Conduct. Subdivision B is derived from former Rule 3B. This rule contains all the prohibitions upon the practice of law by attorney magisterial district judges that were thought necessary. A. Magisterial district judges shall not hold another office or position of profit in the government of the United States, the Commonwealth or any political subdivision thereof, except in the armed services of the United States or the Commonwealth. (1) As used in this paragraph, “partisan political activity” includes, but is not limited to, serving as a committee-person, working at a polling place on Election Day, performing volunteer work in a political campaign, making political speeches, making or soliciting contributions for a political campaign, political action committee organization, attending political gatherings, dinners or other functions, but shall not include involvement in non-partisan or public community organizations or professional groups. (a) hold office in a political party or political organization or publicly endorse candidates for political office. (b) engage in partisan political activity, except as authorized in subdivision C of this rule. Nothing herein shall prevent magisterial district judges or candidates for such offices from making political contributions to a campaign of a member of their immediate family. C. Magisterial district judges or candidates for such offices may attend political or party conventions or gatherings, speak to such gatherings or conventions on their own behalf, identify themselves as members of a political party, and contribute to a political party or political organization (including purchasing tickets with their own personal funds for political party dinners or other functions) beginning immediately following the General Election in the year prior to the calendar year in which they may become a candidate for such office. (1) maintain the dignity appropriate to judicial office, and shall encourage members of their family to adhere to the same standards of political conduct that apply to them. (2) prohibit public officials or employees subject to their direction or control from doing for them what they are prohibited from doing under this rule; and except to the extent authorized under subdivision D(4) of this rule shall not allow any other person to do for them what they are prohibited from doing under this rule. (3) not make pledges or promises of conduct in office other than the faithful and impartial performance of the duties of the office; make statements that commit or appear to commit the candidate with respect to cases, controversies or issues that are likely to come before the court; or misrepresent their identity, qualifications, present position, or other fact. Commentary: The United States Supreme Court in Republican Party of Minnesota v. White, 122 S.Ct. 2528 (2002) concluded that a canon of judicial conduct prohibiting judicial candidates from “announcing their views on disputed legal or political issues” is violative of the First Amendment of the United States Constitution. (4) not themselves solicit or accept campaign funds, or solicit publicly stated support, but they may establish committees of responsible persons to secure and manage the expenditure of funds for their campaign including the purchase of tickets for political party dinners or other functions, and to obtain public statements of support for their candidacy. Such committees are not prohibited from soliciting campaign contributions and public support from lawyers. Candidates’ committees may solicit funds for their campaign and candidates may contribute to their own campaigns no earlier than thirty (30) days prior to the first day for filing nomination petitions. All fundraising activities in connection with such campaign shall terminate no later than the last calendar day of the year in which the election is held. Candidates should not use or permit the use of a campaign contribution for the private benefit of themselves or members of their family. E. Magisterial district judges shall resign their office when they become candidates either in a party primary or in a general election for a non-judicial office. This rule is derived in part from former Rule 15, the American Bar Association’s Model Code of Judicial Conduct, and Canon 7 of the Pennsylvania Supreme Court Code of Judicial Conduct. This rule prohibits only political activity that is partisan in nature and consequently there is no objection to magisterial district judges becoming engaged in political activity of a public service nature, such as, for example, political activityoin behalf of measures to improve the law, the legal system or the administration of justice. Nothing in paragraph C in intended to promote the ability of a magisterial district judge or candidate for such office to announce candidacy for office, form a committee or raise funds prior to the date prescribed by law. Adopted, effective Feb. 1, 1973. Amended Oct. 17, 1975, effective in 90 days; June 30, 1982, effective 30 days after July 17, 1982; Nov. 9, 1998, effective Jan. 1, 1999; Nov. 21, 2002, imd. effective; Jan. 6, 2005, effective Jan. 29, 2005; Nov. 21, 2005, imd. effective. The Order of Nov. 9, 1998, in subd. D(4), in the third sentence, inserted the provision relating to termination of fundraising activities. The amendment by Order of Nov. 21, 2005, addressed gender neutrality issues and made other minor, technical corrections. By Order of July 22, 2008, effective immediately, upon recommendation of the Minor Court Rules Committee, the Pennsylvania Supreme Court approved an amendment to Rule 15 deleting the phrase “or appear to commit”. By Order of December 29, 2010, effective immediately, the Pennsylvania Supreme Court defined “partisan political activity”and when campaign activity and solicitation of funds may commence. A. Except for judges of Philadelphia Traffic Court, magisterial district judges shall on the expiration of their term of office, or upon the effective date of their resignation or removal from office or upon their abandonment of their office or its duties deliver all their dockets and other official or like papers to the magisterial office established for the magisterial district in which the former or inactive magisterial district judges maintained their residence. B. If magisterial district judges die in office, their personal representatives shall make any delivery required under subdivision A of this rule. Jan. 6, 2005, effective Jan. 29, 2005; amended November 21, 2005. (A) The president judge of the court of common pleas of a judicial district shall exercise general supervision and administrative authority over magisterial district courts within the judicial district. (1) Records-The president judge may designate a person to maintain personnel and other records in such form as directed by the president judge or required by general or local rule. (2) Meetings with Magisterial District Judges-The president judge may require the attendance of magisterial district judges in the judicial district, individually or collectively, at meetings with the president judge or his or her representative. (a) Except where minimum job qualifications for staff in the magisterial district courts are prescribed by the Supreme Court of Pennsylvania, the president judge may prescribe minimum job qualifications for staff in the magisterial district courts in the judicial district. (b) The president judge may establish a classification system and job descriptions for all authorized staff in the magisterial district courts in the judicial district. The president judge may establish general procedures regarding the hiring, firing, supervision, and discipline of all authorized staff in the magisterial district courts in the judicial district. (iii) may select one authorized staff member as personal staff. (ii) hire and assign, as appropriate, temporary or floater staff. (e) The president judge may establish a system of performance evaluation for staff in the magisterial district courts in the judicial district. (f) The president judge may prescribe initial and ongoing training for staff in the magisterial district courts in the judicial district. (a) The president judge may coordinate leave for magisterial district judges in the judicial district to assure access to judicial resources. (b) Subject to the provisions of subparagraph (a) above, magisterial district judges shall enjoy autonomy with respect to choosing when to take leave, subject to reasonable coordination by the president judge with the schedules of the other magisterial district judges in the judicial district. (5) Office Hours-In consultation with the magisterial district judges, the president judge may designate the ordinary hours of magisterial district courts in the judicial district in accordance with Rule 103 of the Rules and Standards with Respect to Offices of Magisterial District Judges and the efficient administration of justice. (6) Temporary Assignments; Transfer of Cases-In consultation with the affected magisterial district judge(s), the president judge may order temporary assignments of magisterial district judges or reassignment of cases or certain classes of cases to other magisterial districts within the judicial district or to central courts within the judicial district. (7) Conduct of Magisterial District Judges-When a complaint is received with respect to the conduct of a magisterial district judge, the president judge may in his or her discretion, review the matter with the affected magisterial district judge and may take any action that the president judge deems appropriate to assure the efficient administration of justice. Contemporaneous notice of any such action taken by the president judge resulting in reassignment of cases or otherwise affecting the duties of the magisterial district judge shall be given to the Supreme Court of Pennsylvania and the Court Administrator of Pennsylvania. (8) Procedural Audits-The president judge may direct that procedural audits of a magisterial district court be conducted to assure compliance with general and local rules, administrative policies and procedures, and the Magisterial District Judge Automated Office Clerical Procedures Manual. Such procedural audits shall be separate from the fiscal audits conducted by the county controller or state Auditor General, which shall be limited in scope to the accounts of the magisterial district judge. Such procedural audits may be conducted by the district court administrator, an outside independent auditor, or such other person as the president judge may designate. This Rule is promulgated in order to secure the efficient and effective administration of the magisterial district courts. It recognizes that magisterial district judges are the judicial officials charged with the legal and administrative responsibilities within their respective magisterial districts. Designed to further the unified judicial system in each of the judicial districts, this Rule contemplates a cooperative approach to the administration of the magisterial district courts, acknowledging the independence of the judicial officers and the supervisory role of the president judges. This Rule was amended in 2003 to more specifically outline the authority, powers, and responsibilities of the president judges with regard to management of the magisterial district judge system. In so doing, however, it was not intended that this be an exclusive list of powers and responsibilities, nor was it intended to limit the president judges’ authority to the areas listed. Given the diverse needs of judicial districts throughout Pennsylvania, how president judges exercise this authority will recognizably be varied. In general, president judges have broad authority with regard to management of the magisterial district courts, but it seemed advisable that certain areas of authority and responsibility be specifically defined. With regard to paragraph (B)(2), president judges or their representatives are encouraged to meet regularly with the magisterial district judges in the judicial district to foster and maintain open lines of communication regarding the management of the magisterial district judge system. The term “authorized staff” as used in this Rule means staff positions that have been approved, funded, and hired in accordance with all applicable personnel policies and procedures. Subparagraphs (B)(3)(c) and (B)(4)(b) limit the president judges’ authority in certain areas that are within the magisterial district judges’ discretion. With regard to subparagraph (B)(3)(c), see 42 Pa.C.S. ? ? 102 and 2301(a)(1), and Rule 5C. With regard to subparagraph (B)(4)(b), see Rule 3A. Subparagraph (B)(3)(d)(i) gives president judges authority to transfer or reassign magisterial district court staff as needed, except for personal staff as provided in subparagraph (B)(3)(c), who may be transferred or reassigned only with the consent of the affected magisterial district judge. It is contemplated that president judges would consult with and give sufficient notice to the affected magisterial district judges before making transfers. Nothing in subparagraph (B)(3)(f) is intended to circumvent any training program established or required by the Supreme Court of Pennsylvania or the Court Administrator of Pennsylvania. As to paragraph (B)(6), compare Pa.R.Crim.P. 131(B) relating to central locations for preliminary hearings and summary trials. In addition, if the judicial district is part of a regional administrative unit, magisterial district judges may be assigned to any other judicial district in the unit. See Pa.R.J.A. No. 701(E). Nothing in paragraph (B)(7) is intended to contradict or circumvent the constitutionally established process for the suspension, removal, and discipline of magisterial district judges. See Pa. Const. art. V, ? 18; see also 207 Pa. Code Chs. 101-119 (Judicial Conduct Board rules of procedure). President judges do not have authority to suspend or discipline magisterial district judges. All references to constables were stricken from this Rule pursuant to the Pennsylvania Supreme Court’s holding in Rosenwald v. Barbieri, 501 Pa. 563, 462 A.2d 644 (1983). Except for Rule 16, the above rules governing standards of conduct for magisterial district judges also apply to, and “magisterial district judge” as used therein additionally includes, the judges of the Philadelphia Traffic Court. (a) Magisterial district judges, bail commissioners and judges of the Philadelphia Traffic Court who are not members of the bar of this Commonwealth must complete a course of training and instruction in the duties of their respective offices and pass an examination and be certified by the Administrative Office of Pennsylvania Courts prior to assuming office. (b) (1) Any interested individual may apply to the Administrative Office of Pennsylvania Courts to be enrolled in the course of training and instruction and take the examination to be certified. (2) Any individual who has successfully completed the course of training and instruction and passed the examination, but who has not served as a magisterial district judge, bail commission, or judge of the Philadelphia Traffic Court shall be certified for only a two year period, and must complete the continuing education course every year in order to maintain his or her certification. 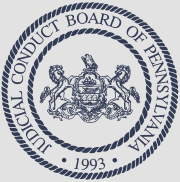 (c) Any individual certified under paragraph (b) who has not served as a magisterial district judge, bail commission, or judge of the Philadelphia Traffic Court within two years will be required to take a review course as defined by the Minor Judiciary Education Board and pass an examination in order to maintain certification by the Administrative Office of Pennsylvania Courts as qualified to perform duties as required by the Constitution of Pennsylvania. This rule was amended in 2006 to limit to two years the period of certification for individuals who have successfully completed the certification course and examination but have not served as judges or bail commissioners. The rule permits individuals who are certified to serve as judges or bail commissioners but who have not done so within two years of certification to take a review course and pass an examination to maintain their certification for an additional two year period. Admission to the review course and recertification examination under paragraph (c) may be limited by the availability of space. In addition, the rule requires that all certified individuals must attend the annual continuing education course to maintain certification. March 8, 2006, effective July 1, 2006..
Every magisterial district judge shall complete a continuing education program each year equivalent to not less than 32 hours per year in such courses or programs as are approved by the Minor Judiciary Education Board. If a magisterial district judge fails to meet these continuing education requirements, the judge shall be subject to suspension by the Supreme Court until such time as evidence of compliance with such requirements is submitted by the board, but in no event longer than six months at which time the failure to meet the continuing education requirements shall be grounds for the Supreme Court, after a hearing, to declare a vacancy in that district. The Minor Judiciary Education Board shall conduct at least one continuing education practicum course, consisting of not less than thirty-two hours, which each Magisterial District Judge or Senior Magisterial District Judge, whether law trained or non law trained, within twelve months of first assuming office, shall be required to attend. The Board shall approve the length of the program, and the course of instruction. Practicum exercises will be a part of the course of instruction. Senior magisterial district judges may petition the Board for a waiver of this requirement. Amended Jan. 6, 2005, effective Jan. 29, 2005; November 21, 2005. (a) Any magisterial district judge who has been certified by the Administrative Office of Pennsylvania Courts as eligible to serve as a senior magisterial district judge shall be admitted to the continuing education program sponsored by the Minor Judiciary Education Board every year as required by Rule 20. (b) In the event that the Court Administrator of Pennsylvania notifies the Minor Judiciary Education Board that a senior magisterial district judge has not accepted an assignment for a continuous period of two years, the Minor Judiciary Education Board may refuse to enroll the senior magisterial district judge in the continuing education program. With regard to certification of senior judges, see Pa.R.J.A. No. 701. This rule was amended in 2006 to delete the provision relating to the continuing education of persons who have successfully completed the course of training and instruction and examination but have not served as judges or bail commissioners. The continuing education requirement of those persons is governed by Rule 19. Added and effective Nov. 14, 1990. March 8, 2006, effective July 1, 2006. Every Philadelphia Traffic Court judge shall complete a continuing education program each year equivalent to not less than twenty (20) hours per year in such courses or programs as are approved by the Minor Judiciary Education Board. If a Philadelphia Traffic Court judge fails to meet these continuing education requirements the judge shall be subject to suspension until such time as evidence of compliance with such requirements is submitted by the Minor Judiciary Education Board, but in no event for longer than six months at which time the failure to meet the continuing education requirements shall be grounds for removal and the declaration of a vacancy in the Philadelphia Traffic Court. Added and effective Sept. 4, 1991; amended November 21, 2005. All acts of Assembly or parts thereof inconsistent with the Rules Governing Standards of Conduct of Magisterial District Judges are suspended to the extent of such inconsistency. January 6, 2005, effective January 29, 2005.